Other photos: Manufacturer Provided Image, Photo 2, Photo 3, Photo 4, Photo 5, Photo 6, Photo 7, Photo 8, Photo 9, Photo 10, Photo 11, Photo 12, Photo 13, Photo 14, Photo 15, Photo 16, Photo 17, Photo 18, Photo 19, Photo 20, Photo 21, Photo 22, Photo 23, Photo 24, Photo 25, Photo 26, Photo 27, Photo 28, Photo 29, Photo 30, Photo 31, Photo 32, Photo 33, Photo 34, Photo 35, Photo 36, Photo 37, Photo 38, Photo 39, Photo 40, Photo 41, Photo 42, Photo 43, Photo 44, Photo 45, Photo 46, Photo 47, Photo 48, Photo 49, Photo 50, Photo 51, Photo 52, Photo 53, Photo 54, Photo 55, Photo 56, Photo 57, Photo 58, Photo 59, Photo 60, Photo 61, Photo 62, Photo 63, Photo 64, Photo 65, Photo 66, Photo 67, Photo 68, Photo 69, Photo 70, Photo 71, Photo 72, Photo 73, Photo 74, Photo 75, Photo 76, Photo 77, Photo 78. 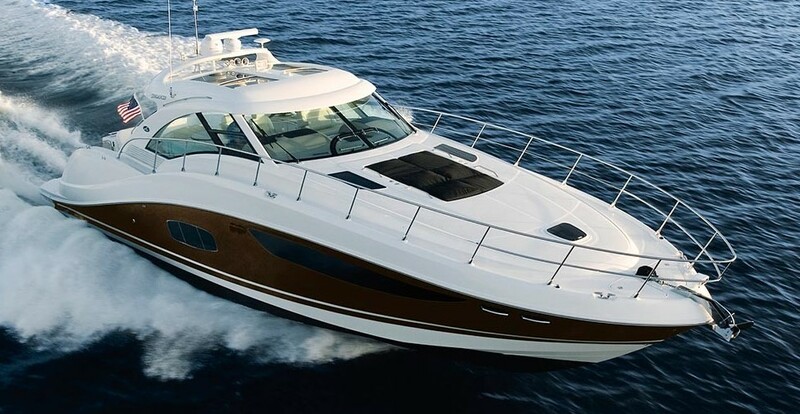 It is a pleasure to bring to market one of Sea Ray's iconic flagships, the Sundancer 60 "GAVAS". This vessel has benefited from superior care throughout it's life and today shows in better than new condition. Pristine engine compartment, upper salon furniture and helm seats remodeled in fine Italian leather, waxed quarterly. All services are up to date with no pending service or cosmetic items. A true "10" If you are a discerning buyer in the market for one of these outstanding yachts, do not pass up "GAVAS". She truly is the finest of the few available in the market. Please make sure to click on the video and slide show link provided to fully appreciate this fine yacht. Lower salon carpet replaced in wood. Galley wood floors. In-line spare Air Conditioner pump.